Psych rock Australian bands, King Gizzard and the Lizard Wizard and Tame Impala, each separately announced on their Instagram feeds that they are planning on making new records. 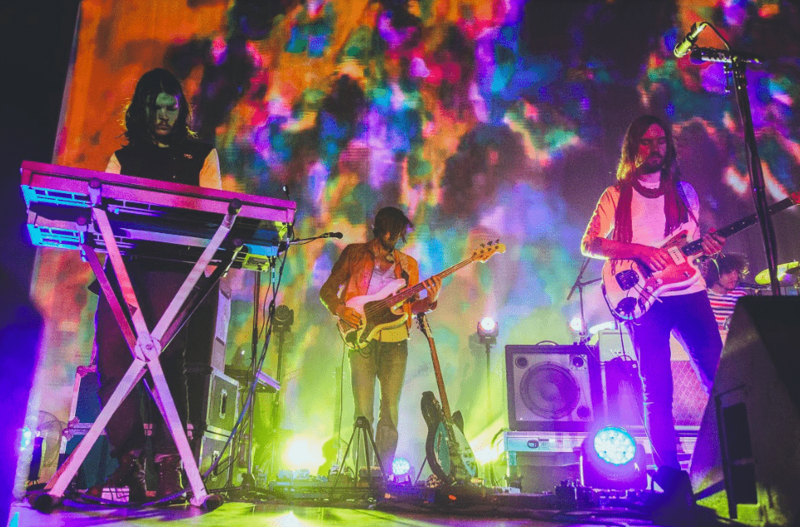 For Tame Impala, better known for their most recent album Currents in 2015, the post was a 30 second video of Tame Impala front man Kevin Parker in his home studio. King Gizzard and the Lizard Wizard’s last releases, “Gumboot Soup,” “Polygondwanaland” and “Sketches of Brunswick East,” were a spew of records in 2017. The Aussie band’s past records use hospital machinery, weird distortion pedals and multiple drummers to get the ‘wall of sound’ effect the bands are known for. The garage blues rock bands, Gary Clark Jr. and The Black Keys, also have new music in the works as well. Gary Clark Jr., the blues-rock musician who made his start in Austin, has now changed his sound completely. His new album released Feb. 22 titled “This Land” has strayed away from the distorted riffs and Jimi Hendrix-styled fretwork and has gone to a more politically-centered plane lyrically. “This Land” was inspired by the anger Gary Clark Jr. feels toward Trump country and a racist neighbor of his in Austin. The messages in his songs like “This Land” and “What About Us” are clear, but the anger translated via Clark’s music is amateur. The attempting rapping slip on “This Land” is painful to listen to; all you hear is someone who is out of their element making corny, creative, bankrupt statements about race. The Black Keys do not do a better job with their single “LO/Hi,” which barley surpassed the popularity of “Lonely Boy” on Spotify. When long-time fans of these raw and impactful records started to give up was when they toured to death “El Camino” and “Turn Blue” came into play. Five years later, The Black Keys released their new single “LO/Hi” on March 7, 2019. The two-piece started exactly where they left off. Fuzzy guitars distort the song, making the production sound like it is coming from a cheap sound system in a 1995 Jeep Cherokee, rattling plastic and all. But if you are not into psychedelic rock or blues, then Patrick Carney, who is the drummer from the Black Keys’, new single “Love and Sophistication” might be more up your ally. Jessy Wilson takes the wheel on the track, weaving her voice around the rhythm of the bass guitar and falsetto vocals that make you double-take at Dan Auerbach’s absence. No matter what you are into, there is something new for you this year.